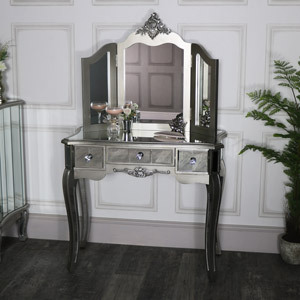 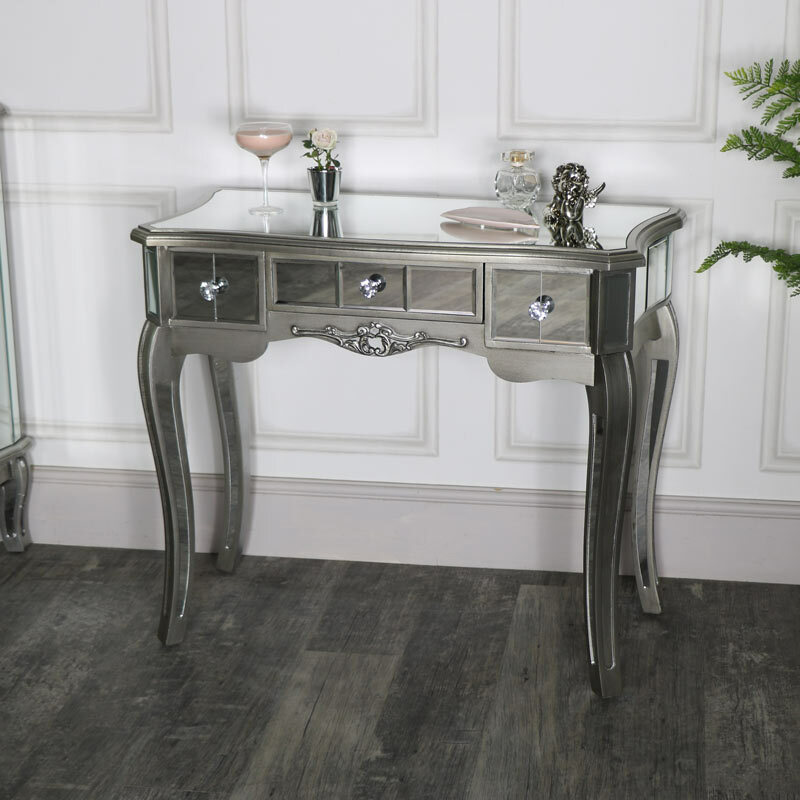 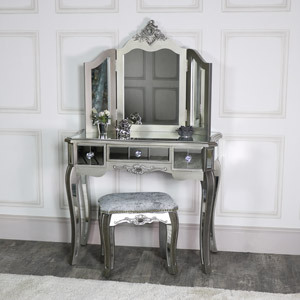 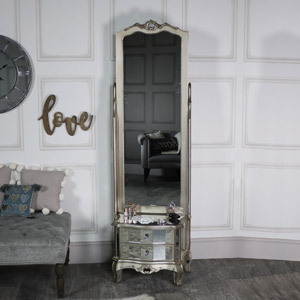 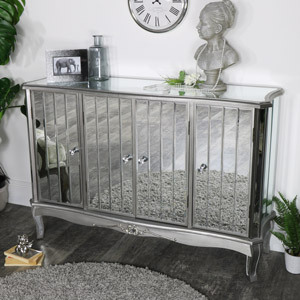 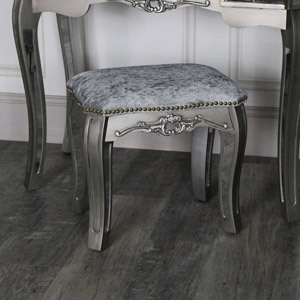 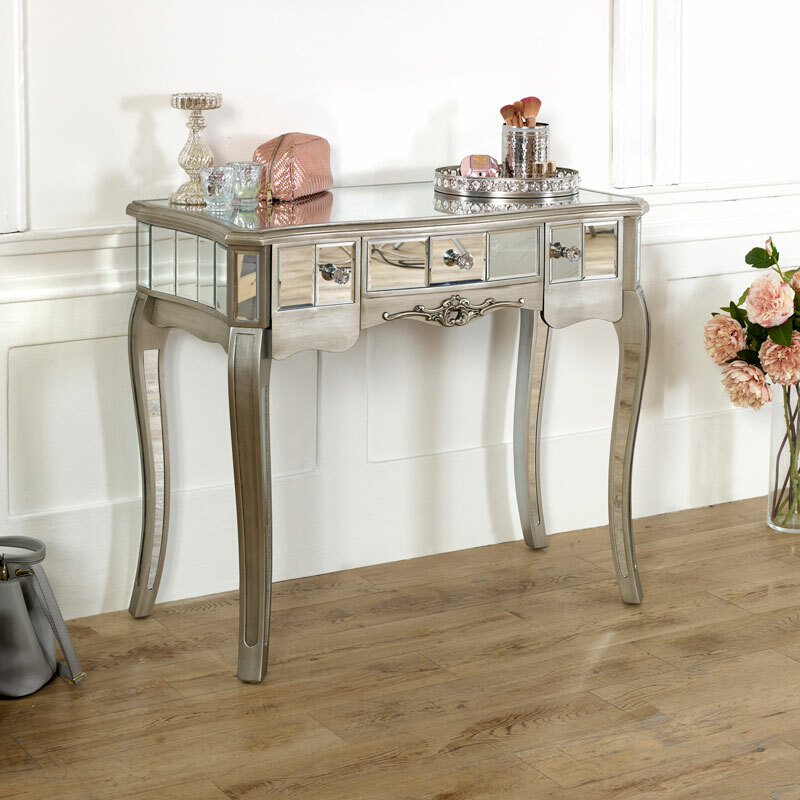 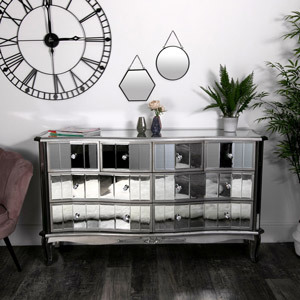 From the New Paris range of furniture, this piece could be used as a Dressing Table, or as a Console or side table. 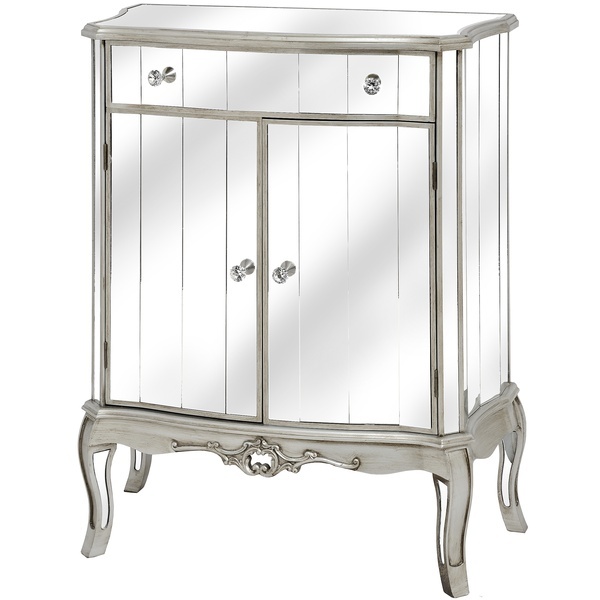 It is painted silver with glass panels faceted around it. 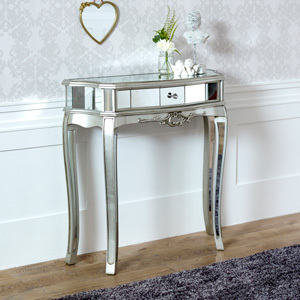 On either side of the table are small drawers with a larger one in the centre. 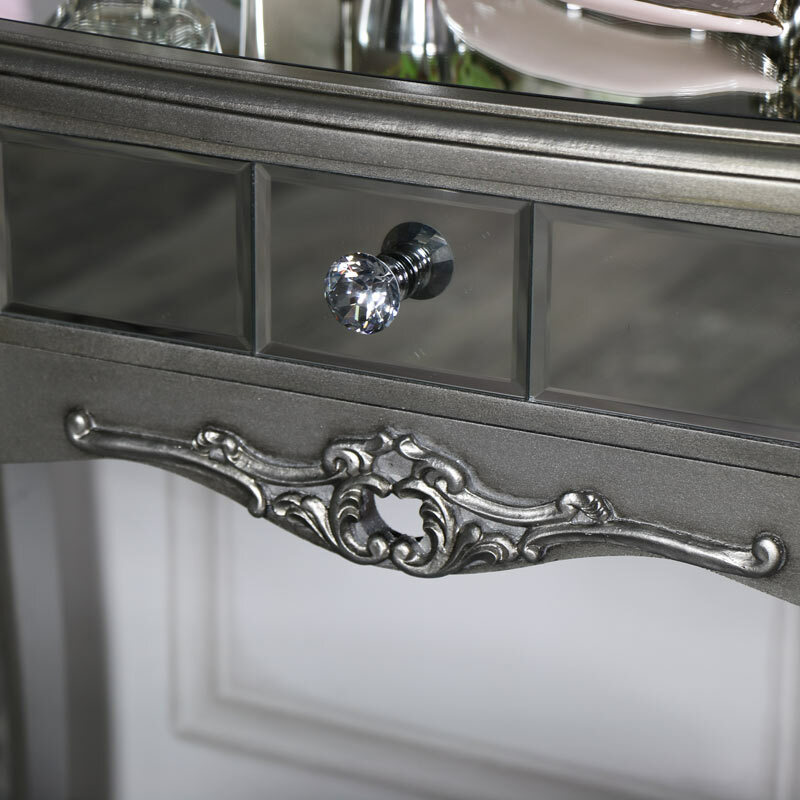 Each drawer has a glass handle and underneath the central drawer is a carved swag. 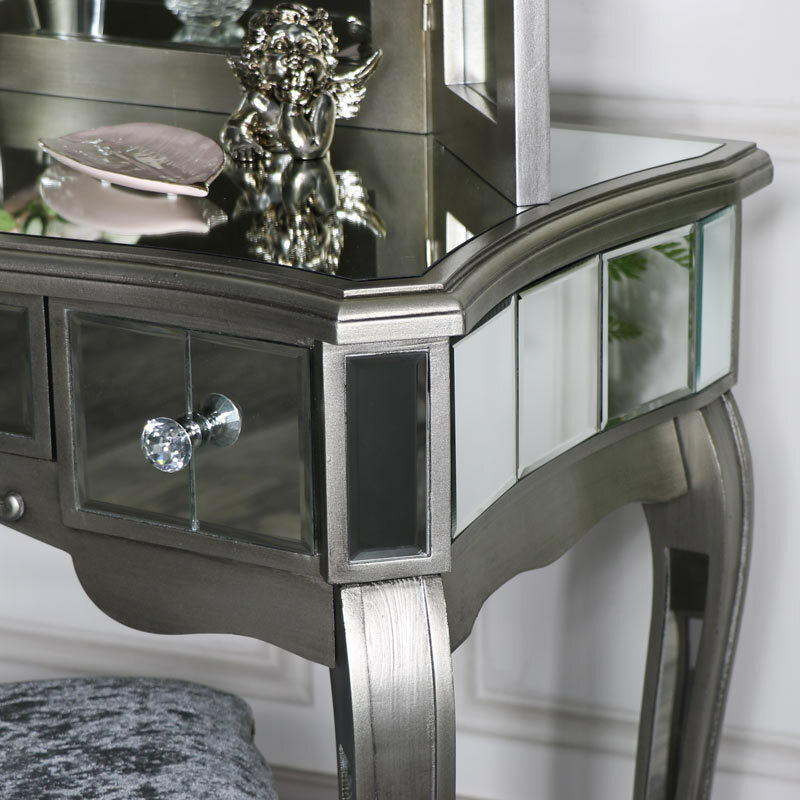 The top and legs are shaped and curved with glass, and as the table is mirrored, it will fit into any colour scheme and particularly fits with French or Venetian styling. 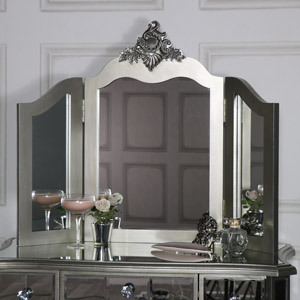 There are other items in this range that will fully complement your décor. 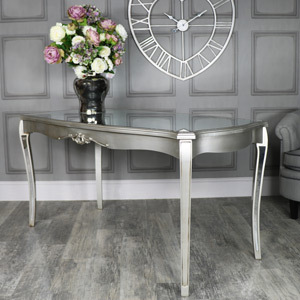 The dimensions are 91 cm x 77 cm x 45 cm (length x height x depth).